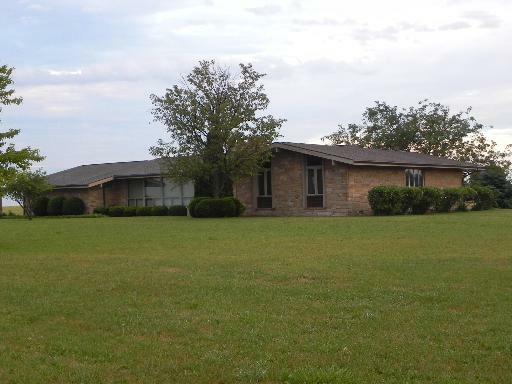 4.14 ACRES ZONED AG W/NEWER OUTER BLDG. (APX. 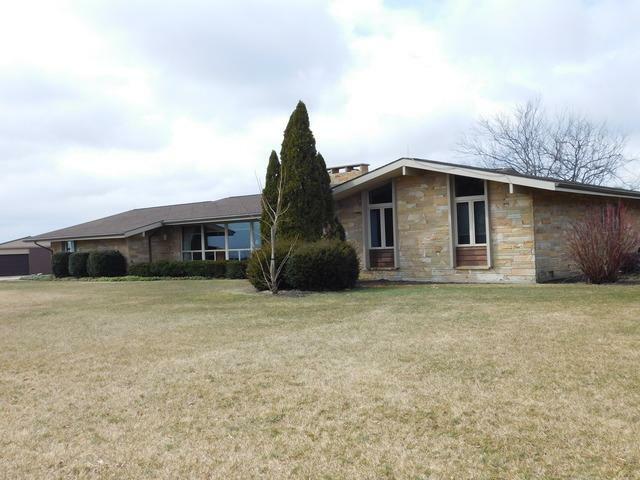 20' X40') & ESTABLISHED EVERGREEN WINDBREAK SURROUNDING 4 BEDROOM TENNESSEE CRAB ORCHARD STONE EXECUTIVE HOME FEATURING OVER 26OO SQ. 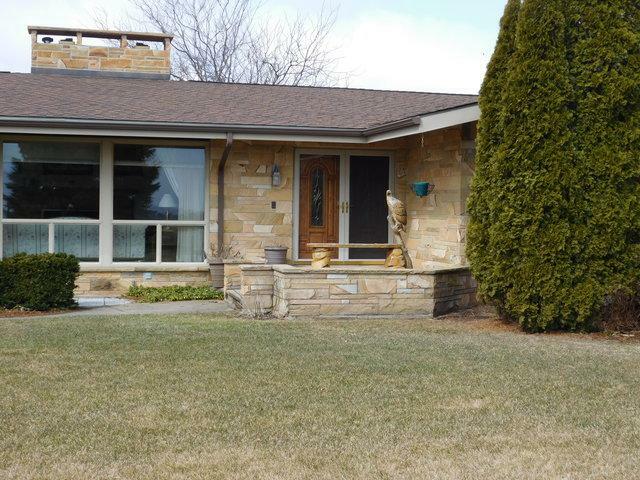 FT. WITH 2 STONE WOOD BURNING FIREPLACES IN FORMAL & CASUAL LIVING AREAS. CUSTOM AMISH CHERRY CABINETS IN 'EAT-IN' KITCHEN FULLY EQUIPPED W/NEWER APPLIANCES NEIGHBORING 1ST FLOOR LAUNDRY & BATH. FORMAL DINING & LIVING ROOMS STRETCH FULL LENGTH OF THE HOME NEAR FORMAL FOYER ENTRANCE. FAMILY ROOM (15' X 22') FEATURES BUILT IN CHERRY BOOKCASES & SHELVING UNITS W/EXIT TO WELL LANDSCAPED REAR YARD BOASTING EVERGREEN TREELINE. 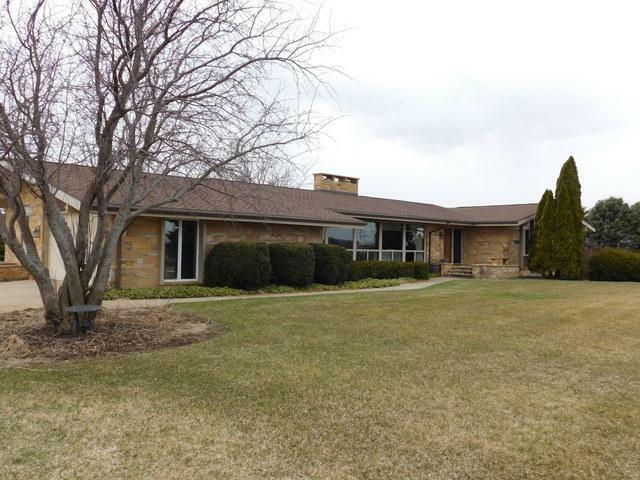 MASTER BEDROOM/BATH HAS PRIVATE EXIT TO STONE PATIO OVERLOOKING COUNTRYSIDE. 2+ CAR ATT. GARAGE W/ HANDICAP ENTRANCE TO HOME INTERIOR PLUS MOTORIZED CHAIR TO ACCESS BASEMENT & HANDICAP RAMPS TO ACCESS REAR PORCH/PATIO & YARD AREAS. HORSES ALLOWED WITH ROOM FOR ADDITIONAL OUTER BUILDINGS. Listing provided courtesy of Einsele Real Estate.